A portion of proceeds from guest dining at participating restaurants during this week will support critical health, education and self-sufficiency programs in the Greenwich community. Greenwich United Way will partner with Z Hospitality (zhospitalitygroup.com) again this year during the annual Week of Caring. Z Hospitality has hosted the fundraising promotion in Greenwich since 2006 and has raised over $25,000 for the Greenwich United Way Annual Campaign. Greenwich United Way is the only organization in Greenwich that identifies unmet health, education and self-sufficiency needs through comprehensive research and collective insights. The organization then raises awareness to support those critical needs through fundraising events and monthly roundtables with partner agencies. Greenwich United Way has been a trusted partner of the Greenwich community, government and local organizations since 1933. It has focused on community solutions in the areas of education, self-sufficiency, and health for over 85 years. With the arrival of Terra in 1991, Z Hospitality established itself as a tour de force on the Greenwich, Connecticut, restaurant scene by offering diners a sophisticated, yet affordable, bistro experience. Years later, Z Hospitality has grown to include eight additional restaurants: Mediterraneo in Greenwich, Norwalk and White Plains, NY, EastEnd in Greenwich, Terra in Danbury and Greenwich, Solé in New Canaan and Aurora in Rye, New York—all of which continue to introduce sophisticated Mediterranean and Northern Italian cuisine to enthusiastic audiences. 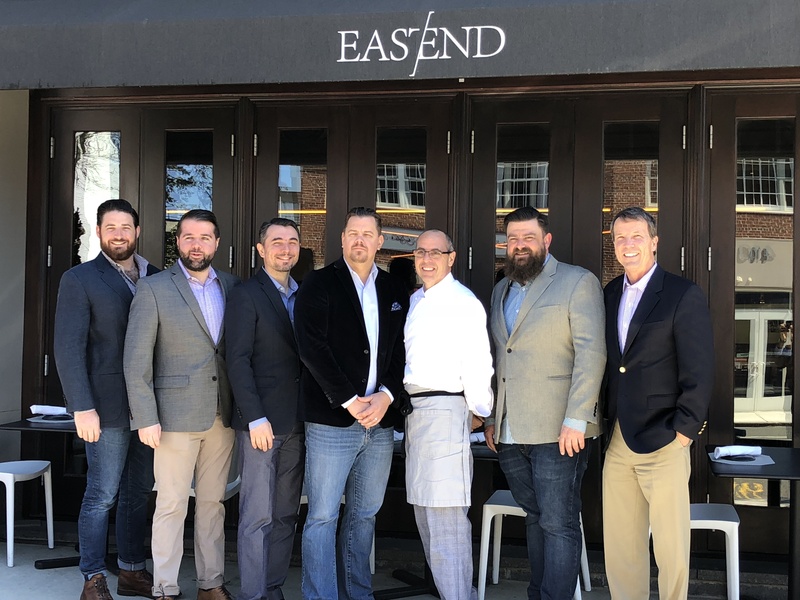 Photo attached (names, titles left to right): Coby Blount, Assistant General Manager at Eastend; Chris Barrett, General Manager at Eastend; Tony Vucetaj, General Manager at Terra; Peter Redei, General Manager at Mediterraneo; Albert DeAngelis, Executive Chef at Z Hospitality, Juan Meyer, Beverage Director at Z Hospitality; David Rabin, CEO at Greenwich United Way.